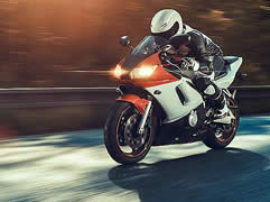 Motorbike accidents have the potential to be extremely serious, and after an accident, every second counts. 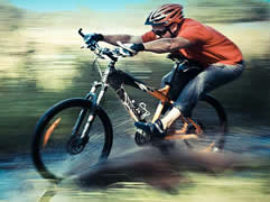 The quicker you receive treatment for your injuries, the better your recovery outcomes are likely to be. 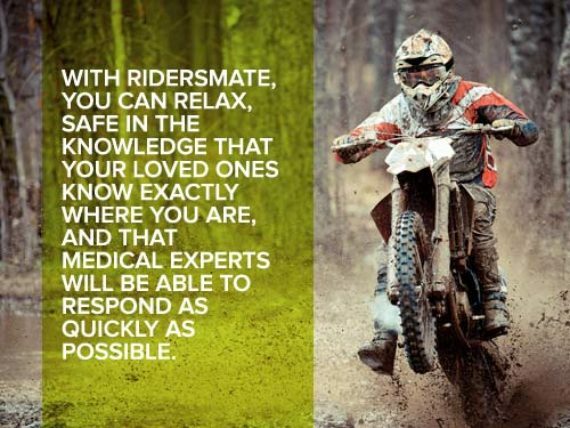 If you have an accident whilst riding alone, in rural areas, or at night, or you become separated from your bike, there’s no telling how long it might be before professional medical help arrives. By the time it does, it could be too late. 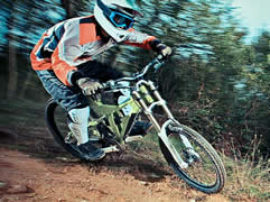 When it comes to mountain biking, falling off is an occupational hazard! 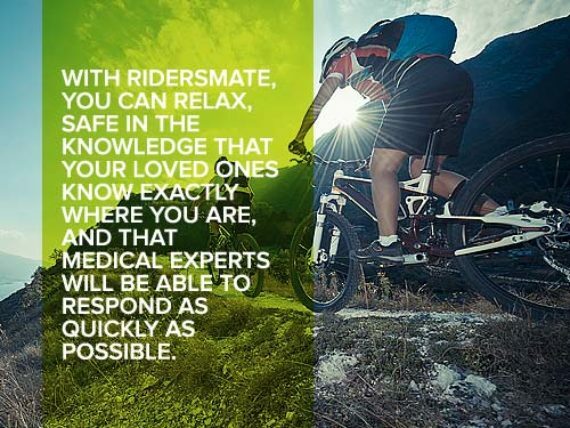 When you’re separated from your friends halfway up a mountain, or riding alone down some remote trails, Ridersmate will provide you with the confidence and security that comes from knowing you’ll be protected should the worst happen. At the same time, Ridersmate automatically records information about your rides – measuring speed, altitude, route and distance, so you can share your favourite routes and adventures with other Ridersmate members. 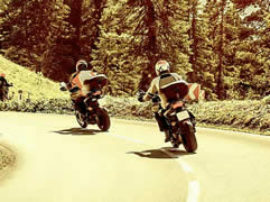 You’re riding alone on a quiet, rural road at night, when you have an accident and injure yourself – how long will you have to wait until you’re rescued? 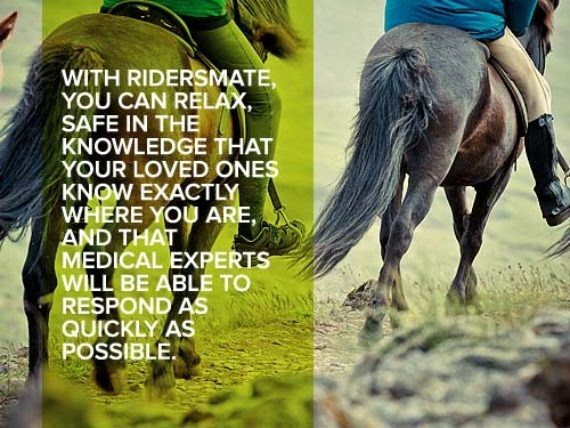 With Ridersmate, you and your family won’t have to worry – you can ride alone anywhere in the knowledge that if the worst happens and you do fall off and have an accident, you’ll never be left alone, injured and stranded. 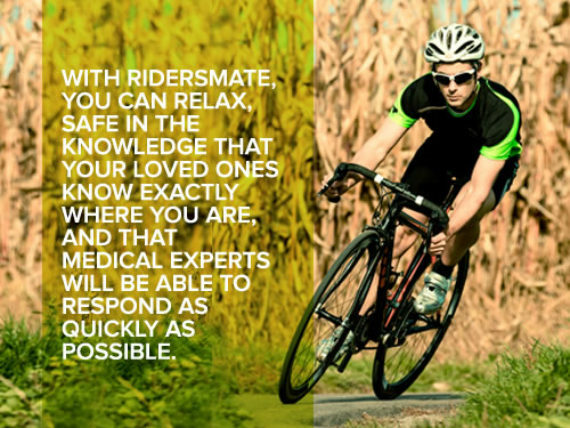 Whether you’re a commuter, hobbyist or race cyclist, Ridersmate is designed to provide you with the security and peace of mind that comes from knowing you’re always protected. 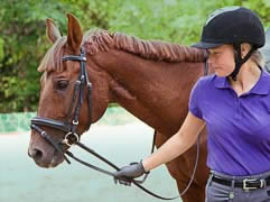 Operating the Ridersmate safety features couldn't be simpler — the unit attaches easily to your ride, with a detachable jack plug that tethers to your belt loop or clothing. 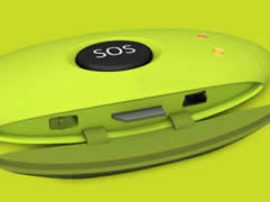 Should you fall off your ride, the jack plug will detach itself from the Ridersmate unit, automatically sending out an emergency message to your chosen contacts. 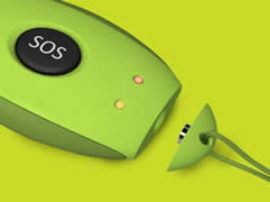 To cancel the response, you can simply reattach the jack plug to the unit, which will send a second message. 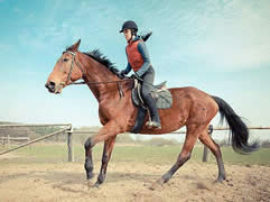 Ridersmate is designed with quick and easy setup in mind, and all the phone numbers and emergency contacts can be configured and changed through a few simple text messages. You'll never need to plug Ridersmate into a computer, or mess around with the settings when on the go. BUT WHAT IF IT'S A FALSE ALARM AND I'M OK?